To reserve a physical place on the desk for home PC users is often an annoying work. You don't really need printers all the time, but you would like them to be accessible whenever you need them. So why not connect it to a single chip computer that has any Linux distribution on it and then share on the network. Single chip computers now as less as 7 USD on AliExpress. Raspberry Pi for this solution may be a bit expensive unless you already use it for still have resources for CUPS. 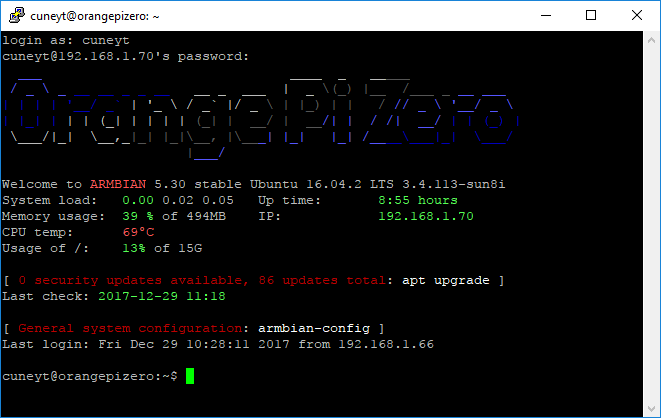 I used Orange Pi Zero with 512 MB which is 9 USD at the moment. I will assume that you already have a single chip computer which you had connected to your local network and can SSH into. Now we will install CUPS on it and share with other computers on our local network. CUPS (Common Unix Printing System) is an open source software developed by Apple. 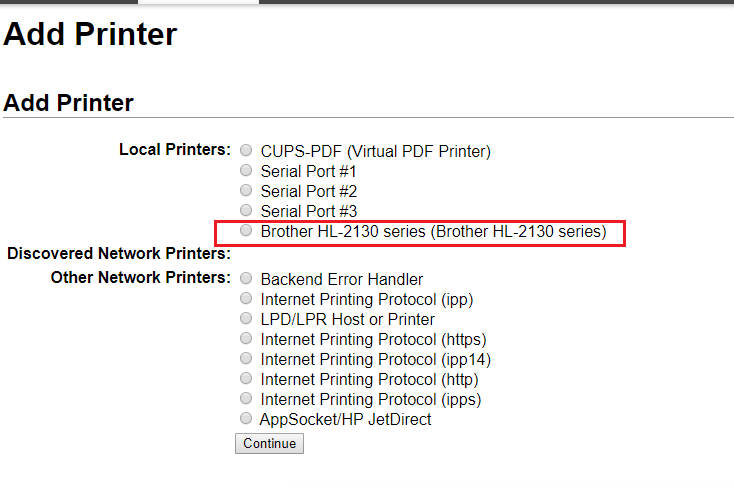 A computer running CUPS is a host that can accept print jobs from client computers, process them, and send them to the appropriate printer. Let's first update our system, install generic printer drivers and CUPS. Generic drivers will work on most systems. Now we will give access to Linux user (login screenshot above I use username 'cuneyt') and then make CUPS panel accessible remotely. Above steps actually change the content of the file /etc/cups/cupsd.conf. You don't need to change it manually but it should look something like below. Then in the administration console we will add a new printer. We should see our printer in the local printers list. Don't forget to select checkbox "Share" before continuing. 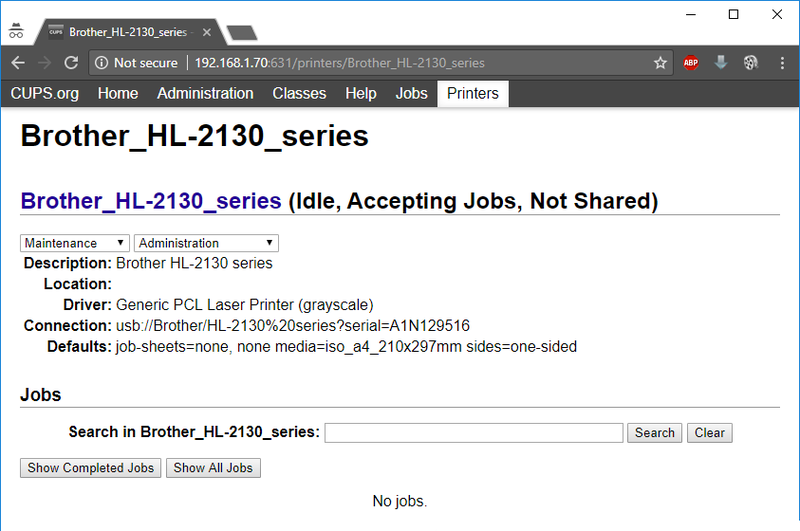 I've chosen "Generic PCL Laser Printer" which should work in most computers unless you see your exact model in the list. After we've added printer we should see it in an address like below depending on the name we've while creating it. Now the last step. To actually use the printer from another computer which is not physically plugged to our printer. 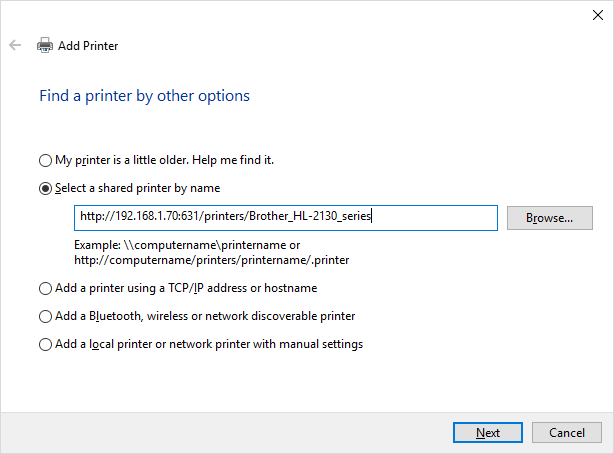 Copy the exact address from the address bar from previous screen and paste it to the the "Select a shared printer by name" part in Windows 10. 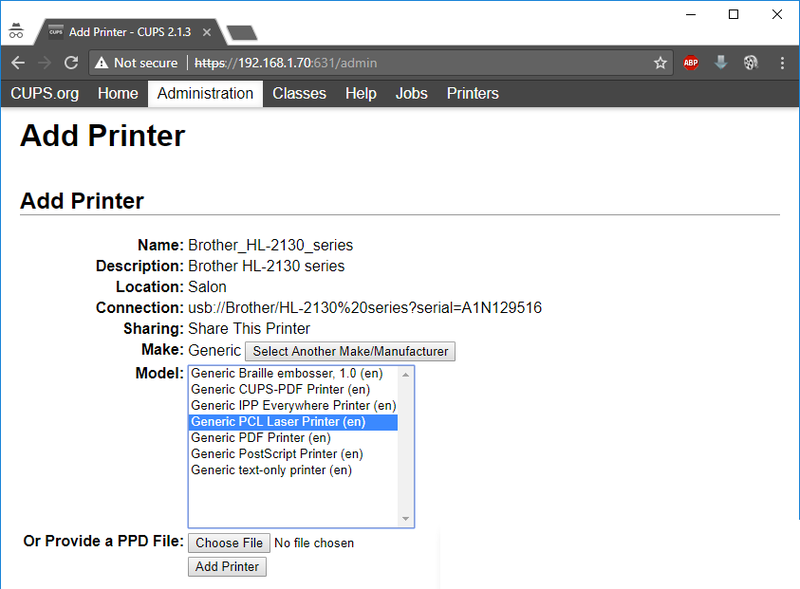 Now you should be able to see the printer connected successfully. Of course instead of Orange Pi you can also use Raspberry Pi but I find Raspberries to be pricey for this kind of mission. But if you have a Raspberry that you're using as a small server you can also add an extra task like this.